To help you better with this list, here’s a comprehensive sample that you can refer to. You should divide it into segments of time to keep you organized. – Ask friends and relatives for referrals to moving companies and inquire about their services, procedures, and policies. – Get at least three estimates from different companies so that you can compare their services and choose the best one that suits your needs and budget. – Go through all your stuff and identify the things that you will keep and those that you will dispose of. Remember, less is more. – Keep a file of all your moving documents such as contracts, invoices, bills, etc. 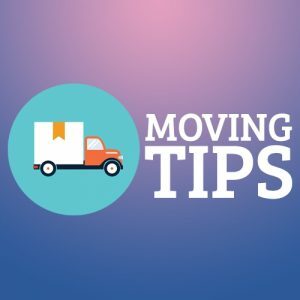 – Inform your utility company of your moving date so they can disconnect services (for your water, electricity, cable, internet, etc.) on the date after your move. – Also schedule an activation or transfer of these same services to your new address, so that you already have them in place once you move in. Bring out the boxes and start packing the items you will not be using in the coming weeks. Make a list of the items that go in each box. If you’re too lazy to do this, you can also take pictures so you’ll know where to find each item. Decide on whether you’re going to hire a moving company to help you or if you decide to DIY. Update all personal documents that include your address. Clean up every room once you’ve packed all the items in it. Disassemble furniture that you will not be using in the following days and pack them away. Set aside all items that you will not be needing and schedule for a pick up by the local Salvation Army or any organization you decide to donate them to. File your leave from work for the days that you will be concentrating on the move. Prepare a suitcase of things that you will need on the day of your big move, like towels, toiletries, clean clothes, etc. Check the new place you will be moving in to and make sure everything is ready for moving day. Throw away all unneeded and unusable items, especially flammable stuff, like left-over paint, spray cans or propane. Call up your relatives and friends who enlisted to help with the packing and moving and inform them of your schedule. If hiring one, make a last call to your moving company to confirm details such as time of arrival and pick up. Draw up a time-table for moving day, time to start loading your boxes, where/when to stop for lunch, estimated time of arrival at the new place. This will give you a sense of what to expect and prepare for on the day itself. With the help of volunteer family and friends, finish packing all your things, leaving behind only the essential items that you will be using every day. Make sure that all your boxes are properly packed and numbered, color-coded by room if possible. Prepare a snack bag for moving day. Have your check lists and pens ready with you in your bag. Clean up your refrigerator, stove and other kitchen appliances. Make sure all your items for donation/giving away are picked up or delivered to their new owners. Check if all utilities are already working properly in your new home. Prepare several pieces of post-it notes with your new address and your contact numbers to be given to your movers, or to your entourage on moving day. Pack away your beddings and disassemble all the beds in your home. Have a last-minute meeting with your movers, if hiring one, and make sure they know how you want things to be done. Distribute your post-its with your contact numbers and the new address to every driver in the moving group. Double check every room in the house before leaving, making sure that nothing is left. Turn off all light switches, lock all windows and doors. Make sure you arrive at your new home before the movers/entourage. Inspect your new home, making sure all utilities are in working condition. Clean up your new home while it is still empty of your stuff. Direct your movers with the unloading of your boxes, show them where each box must go. Finally, unpack what you need for the rest of the day and set up your beds and beddings while you have help. 1.Reputation. Ask around for movers that friends and relatives will recommend based on experience. 2.Choose local. Oftentimes, local companies are the better choice in terms of budget and availability. 3.Ask for an in-house cost estimate. 4.Look at the fine print. When making your final choice for a mover to hire, keep in mind that getting the cheapest mover doesn’t always guarantee that you’ll save on money. 2.Look for cheap boxes to use in packing. Used and recycled boxes are cheaper and you can resell them once you’re done unpacking. 3.Start packing a long time off. Don’t do a last minute stunt. You’ll need all the help you can get, from packing, to labeling, to unpacking, and sorting your stuff. You won’t be able to do it all on your own, so might as well ask for help early on. 5.Time your departure from your old place.